Last year, I attended the American Society of Clinical Oncology (ASCO) conference as a Patient Advocate. 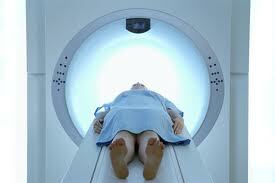 I learned about the high doses of radiation from PET scans. In addition, they are often recommended three months after radiation when most people have not yet completely healed from the treatment. After such a short period after treatment, there are a lot of false positives (hot or red areas on the scan) causing anxiety, extra tests, and sometimes unnecessary surgery. Why do so many oral cancer survivors get a PET scan within three months of their treatment (radiation/Chemo)? Here is a documented statement from the American Society of Clinical Oncology saying they do NOT recommend PET scans unless there are signs or symptoms of a recurrence. In short, the article states: “PET scans have made their way into routine oncology practice despite a lack of evidence to improve the quality and value of cancer care. American Society of Clinical Oncology (ASCO) says: Avoid using advanced imaging technologies – PET, CT and radionuclide bone scans — to monitor for cancer recurrence in patients who have finished initial treatment and have no signs or symptoms of cancer because it does not improve outcomes or survival. These expensive tools can often lead to false positive results, which can cause a patient to have additional unnecessary or invasive procedures or treatments or be exposed to additional radiation. ASCO’s “Top Five” list is part of the Choosing Wisely campaign designed to encourage conversations between physicians and patients aimed at curbing the use of unnecessary tests and procedures.